Construct your own epic Pokémon battles with this Mega Construx Pokémon Battle Set Case. 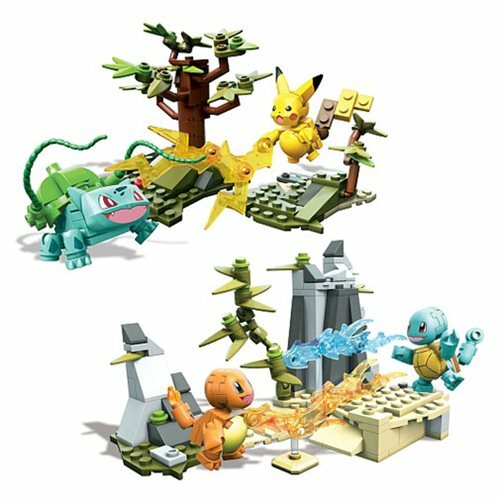 Each set contains buildable battle scenes with iconic Pokémon matchups like Pikachu and Bulbasaur, or Squirtle and Charmander. The buildable battle scenes even feature transparent battle effects! This case contains 6 Mega Construx Pokémon Battle Sets.